We received a letter from Ghana last Friday, stating that a Sunbird had been found with a British ring in Ashanti region. 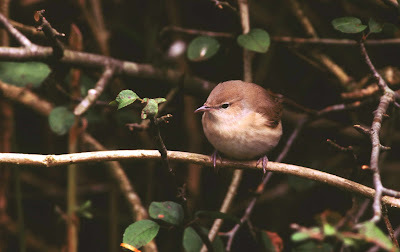 This had me looking for sunbirds in the database for a while, but then I went to see Dr Hewson, from the Migrant Birds in Africa Team here at BTO HQ, and he said that it was in fact a Garden Warbler, and that it had been miss-identified by the reporter. This Garden Warbler was ringed in Allerthorpe in the East Riding of Yorkshire the 3rd August 2009. It was aged as a young bird and thanks to the ringer taking biometrics we know that this Garden Warbler was moulting. However, that does not prove that this was locally bred because juvenile Garden Warblers start migration before finishing their moult. Even though we don’t know where this particular bird was born, this recovery is very important because it helps us understand where Garden Warblers winter. So, in order to improve our understanding of the problems facing British birds, it is very important that birds are ringed as part of Constant Effort Sites or RAS projects so we know precisely where they both breed and winter. There are 13 recoveries of Garden Warbler from Ghana in the ringing database. 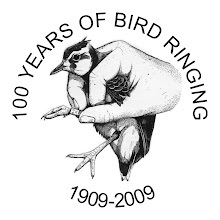 The dedication of volunteer ringers will continue to reveal new facts about the ecology of birds!